Inline centrifugal fans. Maximum air capacity up to 1540 m³/h. Supply and extract ventilation systems installed in various premises.The best solution both for humid indoor premises and outside areas.Compatible with Ø100 up to 315 mm round air ducts. Galvanized steel casing.Aerodynamically shaped casing. External terminal block for power supply. Single-phase external rotor motor with a centrifugal impeller with backward curved blades.Equipped with ball bearings for longer service life.Integrated thermal protection with automatic restart.Dynamically balanced impeller.For ventilation of premises with high requirements to noise level low-noise modifications are available (Centro-MZ L). 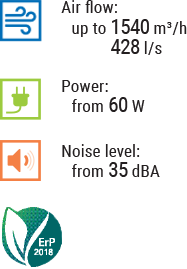 max: high-powered motor.L: low-powered and low-noise motor.W: power cable with IEC C14 plug or mains plug (W1). 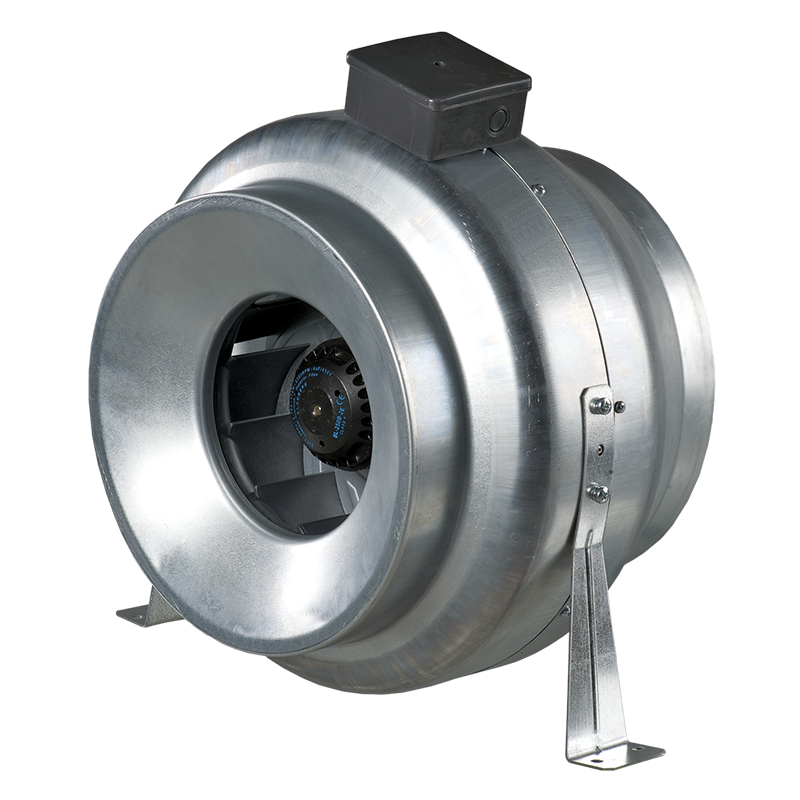 Any mounting position.Wall or ceiling mounting with fixing brackets supplied as a standard.Flexible air ducts are fixed on the fan spigots with clamps.